DVD rentals exceeded videocassette rentals for the first time ever last week, the Video Software Dealers Association reported. For the week ending Sunday, 28.2 million DVDs were rented while 27.3 million VHS cassettes were rented, according to the trade association's VidTrac, a point-of-sale tracking technology. 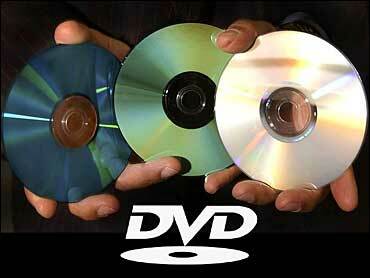 Weekly revenue from DVD rentals began exceeding VHS rental revenue in the week ended March 16, according to VidTrac. Since then, weekly DVD rental revenue usually has exceeded weekly VHS rental revenue. But the number of VHS units rented each week remained greater than the number of DVD units rented — until last week. "This is a milestone in the history of home video," said the video association's president, Bo Andersen. "Since the advent of video rental 25 years ago, videocassettes have been the dominant format for video rental. Now, just over six years since its launch, DVD has supplanted that pioneering technology in the rental market, as it previously did in the sales market." Still, the association maintains there will remain a market for videocassettes.